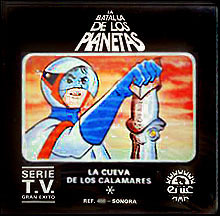 A number of Battle of the Planets episodes were released on 8mm film in Spain. 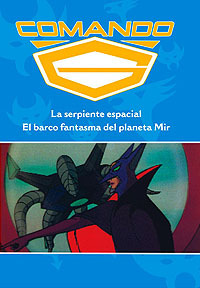 The films included sound and were 120 meters in length. 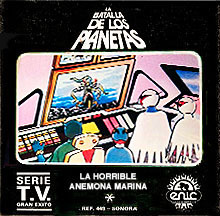 The ten examples shown above are "The Space Mummy 3," "The Space Serpent 4," "Big Robot Gold Grab 6," "Siege of the Squids 36," "A Swarm of Robot Ants 10," "The Jupiter Moon Menace 9," "Ace From Outer Space 7," "Fearful Sea Anemone 8," "Ghost Ship of Planet Mir 5" and "Rescue of the Astronauts 2." 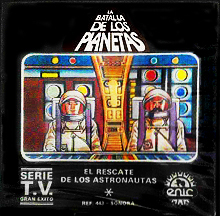 1980, by Enic. 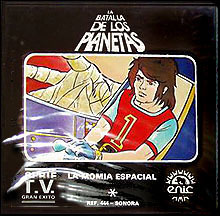 A box set of six individually-packaged Super 8 films that featured clips from Battle of the Planets. 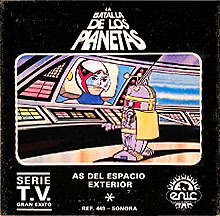 The films were given their own titles; "Spectra Secret Base," "G-Force Transmute!," "Sarco-7, The Diabolic," "Rescue the Station 'Galaxy,'" "Space Vulture Attack," and "The Monster of the Galaxy." 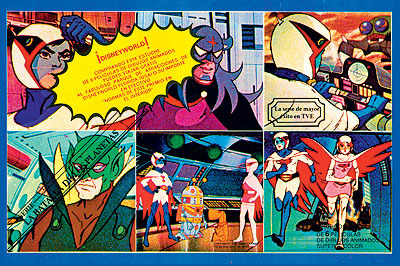 Approximately 1980, by Cosmo Vision S.A. 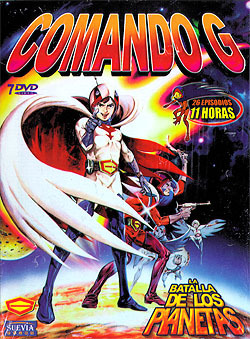 This five disc collection of DVDs included two episodes each. 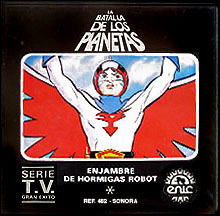 They were intended as budget releases priced at just under 3 Euros per disc. 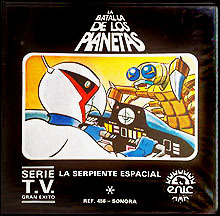 They also acted as teasers to the later box set released in Spain. 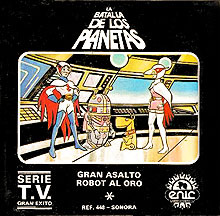 Each episode was in Spanish with English audio as an option. 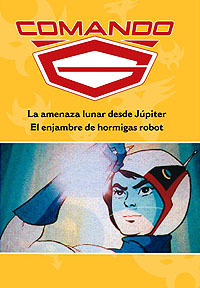 2005, by Suevia Films on their RBA Coleccionables label. 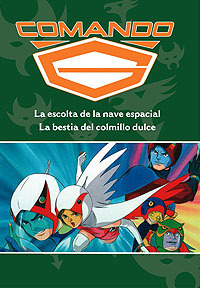 The seven disc DVD box set of Spanish language Battle of the Planets episodes (English audio was also an option). 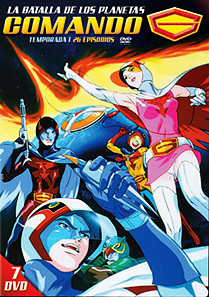 It included twenty-six episodes and was released in 2005 by Suevia Films. 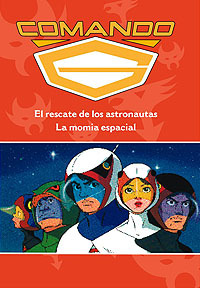 A re-release of the Suevia Films DVD box set seen above. 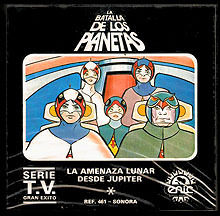 It matched that set in content and disc count (seven discs). 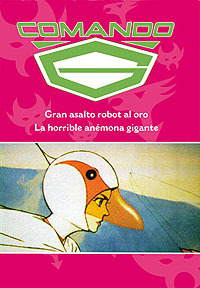 It also included both Spanish and English audio options. 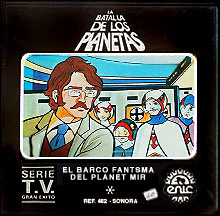 2013, by Llamentol SL.